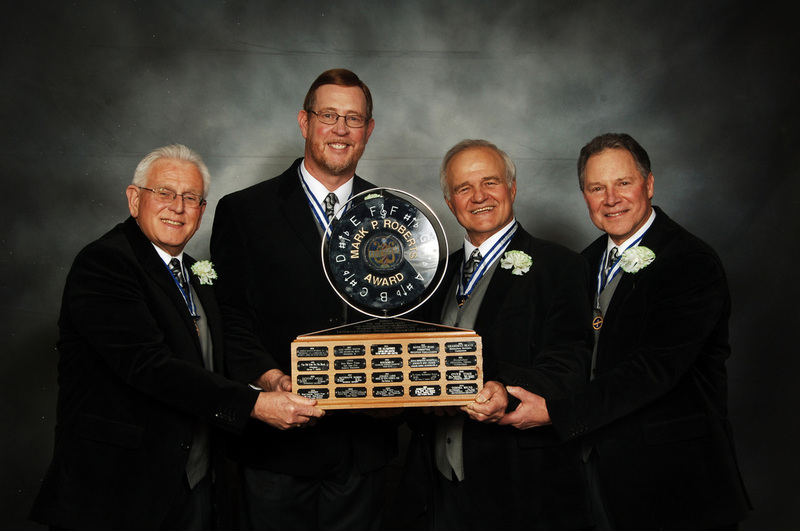 Al Reese (T); Mark Hannum (Bs); Carl Ondrus (L); Glenn Siebert (Ba). The venue may have been Las Vegas but our 2011 Senior Quartet champions were taking no chances as they stormed the stage with an in-your-face set of Irish songs. As witty baritone Glenn Siebert said, “Yesterday we were Over Easy and today we are ‘sunny side up’”. Beating the odds was no task for this JAD foursome. They were third in the district competition but came up with the winning hand, out-scoring 26 other competitors and winning the gold by 22 points in a contest that saw 18 quartets score 800 points or higher. Over Easy first appeared on the International stage in San Antonio where they gave a hint of things to come by finishing sixth. They repeated that placement in 2009 in Pasadena, and then found themselves looking for a new bass singer. They welcomed Mark Hannum and qualified for Tampa where they finished 16th, then on to Las Vegas where they hit the jackpot and become the 26th Senior Quartet Champion. The quartet is from the Cleveland/Columbus Ohio area. Lead singer Carl Ondrus brings his energetic, lyrical style to the front and is joined by the butter-smooth sounds of Glenn Siebert. Mark gives the very important foundation with his solid bass, and Al Reese provides the sparkle of his fine tenor voice. The quartet was very animated and involved and it was clear that they “owned” the stage during their performance. From the St. Patrick’s Day Parade medley to the Renee Craig arrangement of Danny Boy, they captivated the audience and judging panel with their entire package, clearly earning their spot in history. The members of Over Easy are very excited about their success and look forward to representing the JAD and AISQC during this year. They are very proud of the fact that they are “regular guys”, with no former gold-medalists or renowned singers in their quartet. They feel that their gold medal will encourage men all around the Society to go to work to achieve high levels of success in our great hobby.